It has come to my attention that many of you are woefully uninformed about dragons. More innocent tourists get eaten every day. Yeah, they blame on natural disasters, terrorists and outbreaks of disease, but we all know its dragons. So, my assistant and I have headed out on a special world tour. We’re checking out the dragons in each part of the world and giving you a few pointers on how to avoid a fiery, roasted death. Without further ado, today’s report from the Dragon World Tour! Description: And no, I don’t mean a sea-going duck. 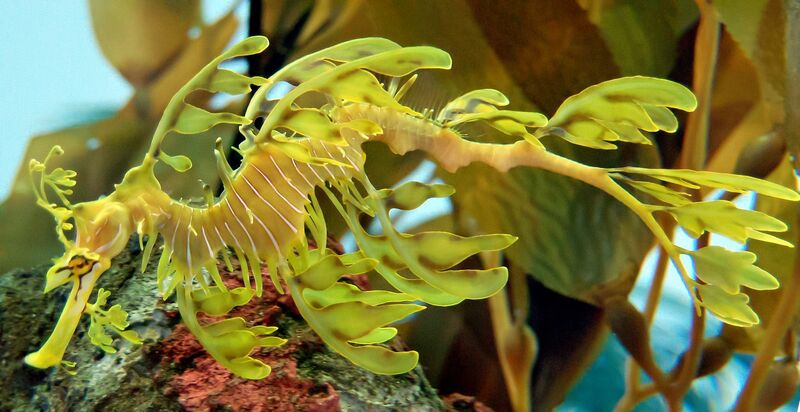 And no, I don’t mean one of those kooky, leafy undersea horsey-things either. A sea drake is a water dragon. One who lives in the ocean, probably eating fisherman when he can’t get yacht owners. Sometimes they look like dragons with flippers. Sometimes, they look like long snaky serpents. Sea drakes are also called Cetuses. Cetoi? It is a matter of debate whether Jormungander is a sea drake. 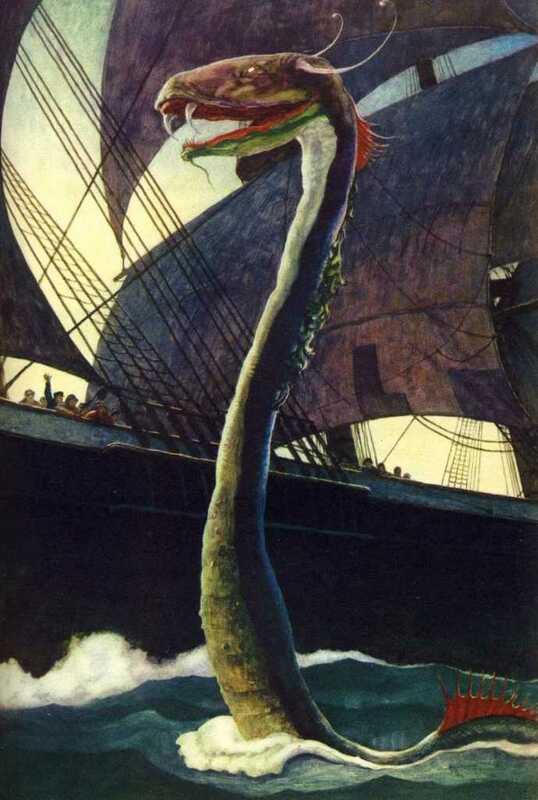 Other debated sea drakes include the Loch Ness Monster and Leviathan. Basically, a sea drake is a sea monster, only classier and more dragony. But I guess the classiness doesn’t really matter once the thing starts chowing down on your ship. These guys were big stuff back in the age of the Greeks. Folks were always tying up maidens and leaving them for sea drakes to eat, so that the drake would not terrorize their shipping. Or because they mouthed off and offended the gods, and Poseiden sent one of his fishy dragony companions to munch on them. This would go on for a while until, invariably, some hero like Perseus would come along, slice the thing’s head off—or turn it to stone, and muck-up the whole system. Of course, I bet Andromeda was pretty pleased. That lunch meats look would not have looked good on her. Probably would not have gotten a constellation and a galaxy named after her, either, had she been in the stomach of a sea monster. For that matter, Cetus might have missed out on its constellation as well, had that nosey Perseus guy not interfered. Where To Find It: Under water…usually in oceans. However, Miss Miranda, her brothers, and I fought one in Hell. It was inside a giant kronosaur. Guess it had been eaten for lunch. Nothing beats being swallowed by a monster and then having to fight another monster while in its stomach. Frequency: Used to be really common. Not so much any more, except in the middle of the Pacific where those miles and miles of plastic bags are. They hang out in that stuff. Danger Level: Pretty peepin’ dangerous, unless you are on land. I recommend staying at least fifty feet away from any shoreline. Make that lake shorelines, too, just in case. Mab’s Eye View: Sea drakes are pretty mean customers, but they’re actually quite pretty from a distance. If you could catch sight of one from a plane, you might get a nice photo as a souvenir—that is if a Roc doesn’t eat your plane, it you survive the gremlins, and if the Orbis Suleimani does not come and erase your memory if it gets out that you’ve seen one. I’d tell your friends the picture was photoshopped, if I were you…just to be safe. 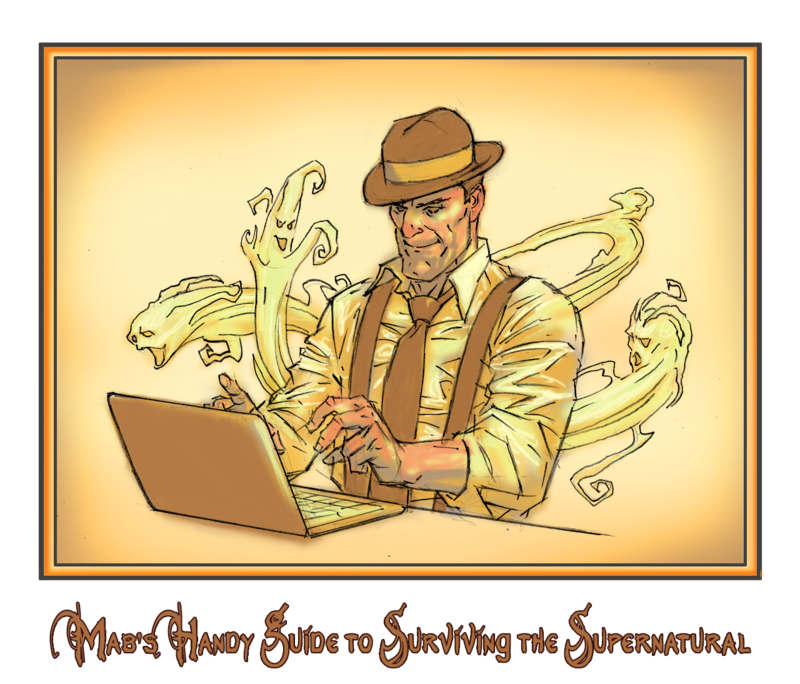 November 13, 2014 in Mab's Handy Guide to Surviving the Supernatural.